Right now, some of your users are likely using weak passwords to access emails, browse the internet, run videos, listen to audio/music, and more. Find weak passwords and correct them before hackers can exploit them! Thycotic makes it simple: No cost. No agents. No hassle. 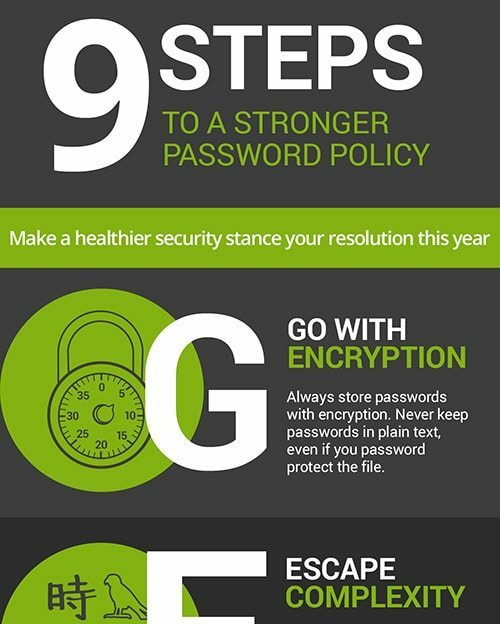 Save hours of effort by discovering weak passwords and associated risks in minutes. Get reports to help you find and change weak passwords. You can re-run the Weak Password Finder at any time to identify password risks and confirm changes to stronger passwords. Weak passwords are detected for any users in Active Directory, including passwords for service accounts and privileged accounts. The Thycotic Weak Password Finder Tool can be run on a single or multiple Domains. The tool uses more than 1.5 million common passwords from publicly available lists to determine “weak” passwords, and you can quickly add your own weak passwords in a text file. The Weak Password Finder Tool is simple and secure. Passwords are never recorded or exposed, and sensitive information is never stored. Get your FREE Weak Password Finder Tool for Active Directory now! NIST says most computer users they interviewed are exhausted by security rules and consequently are slacking off on safety. This was published in their latest study, which explains security fatigue often leads users to risky computing behavior at work and in their personal lives. Because of end user security fatigue, your IT team is forced to play defense. Join Thycotic as we share how you can minimize security fatigue for end users and privileged account users, add automated protections to avoid fatigue, and add protections to prevent threats from outside hackers and malicious insiders. 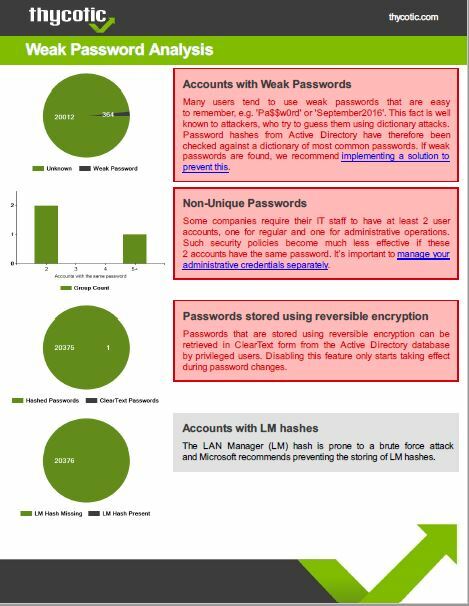 Thycotic has made it incredibly easy to discover all your privileged accounts and identify weak passwords across the enterprise. Your next step is to be sure they are protected. Thycotic’s Secret Server assures the protection of privileged accounts while being the fastest to deploy, easiest to use, and highly scalable enterprise-class solution offered at a competitive price.